Our Standby Generator Systems Offer the Best Protection for Your Home or Office During a Brown-Out or Black-Out. 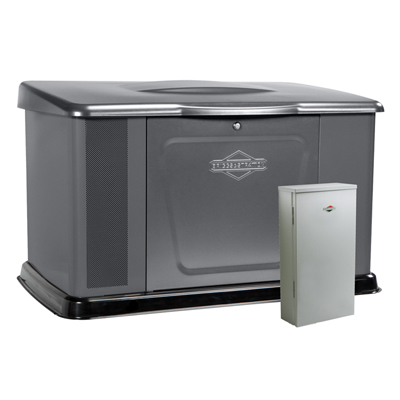 We service and install GE and Briggs & Stratton generators. Our systems provide automatic, permanent backup protection from power outages for your home or business. After a quick consultation we can recommend standby generators that will power your heating and air conditioning, water pump, appliances, lights, TVs, or computers. Many of our systems can support total-home power as well. Contact us to find out what backup generator system will work for your needs.